Reopening the Wormhole takes its maiden voyage into a TNG bonus episode, and not just ANY episode. 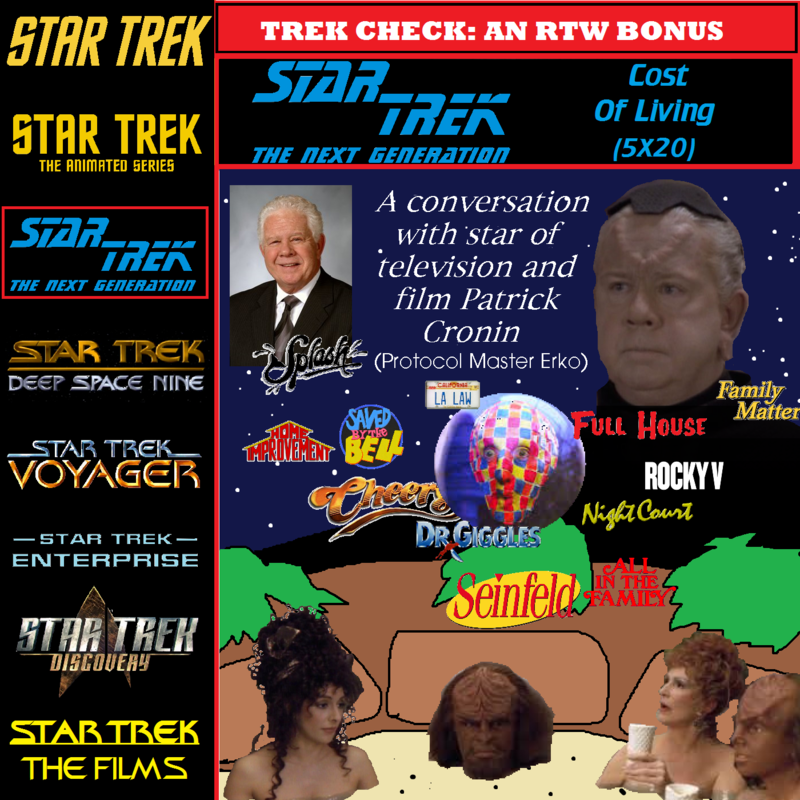 It’s a Lwaxana Troi joint, Cost of Living from Season 5. And the reason is that the RTW team had a very, very special opportunity to talk to an actor from the show! That’s right, our guest this week is Patrick Cronin, who played Protocol Master Erko in this episode! He has plenty of fun stories about the TNG cast from on set and the trials of the makeup chair, but our conversation goes far beyond that to encompass his famous role on Seinfeld and some forty years of experience in too many famous shows and movies to count! This episode of Reopening the Wormhole is a fun and unique look behind the cameras!